This adorable little courtyard is, and has been since I discovered it, one of my favourite secret spots in Paris. I lived in Paris for almost 5 years before I finally found this little piece of heaven nestled in the heart of the buzzing 10th arrondissement. Special thanks to my wonderful friend Kath who took me here! Cour des Petites Écuries literally translated means the courtyard of little stables and got its name from the horses that were kept there in 1769 when the courtyard was first built. Since then it has become a residential area with a delightful assortment of pubs, bars and restaurants. Best of all, it’s unknown to tourists. The people who go to this quirky courtyard are well-informed Parisians who know the cool places to go. Inside the courtyard there is a real London feel; people spilling out onto the pavements with beers in their hands and people outside sitting on tables or on the pavement chatting, smoking and drinking. The atmosphere is lively and cheerful with people chattering animatedly in the street. Most of the bars are really cheap and the happy hours are extended much longer than usual! My two favourite bars are the Tribal Café and the O’Petit Paris where Happy Hour is from 2pm until 9pm. Drinks are very cheap; about 3 euros for a glass of wine or a pint of beer and even when happy hour ends the prices are still very low! It’s the perfect place to enjoy yourself on a budget! 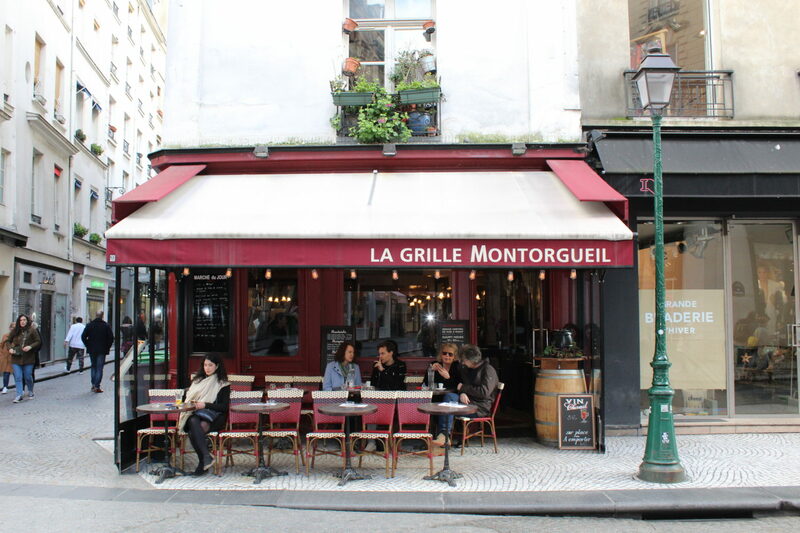 If you’ve been in Paris a while and are ready to find an authentic, Parisian place to go drinking without being bombarded by tourists then Cour des Petites Écuries is the place to be! A local secret and a wonderful place to spend an evening.